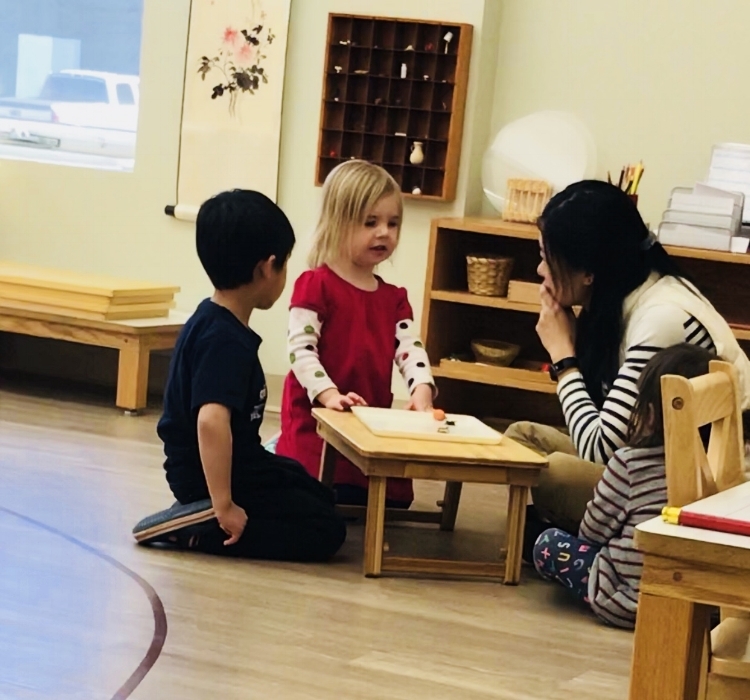 We are extremely proud to offer children (16 months - 6 years) in Edina and SW metro a once-in-a-lifetime opportunity to acquire Mandarin while obtaining a rich Montessori education. Please accept my invitation to visit the full website of our school and see how a community of like-minded people can create an amazing early childhood education experience for your child. Light-filled classrooms with beautiful Mandarin materials give your child a love of learning - and of school! Individualized lessons and engaging group activities instill confidence and joy - learning is fun! Our highly-trained AMI-certified Montessori teachers are native Chinese speakers and immerse your child in Chinese throughout his or her entire day. Kindness and respect are modeled to help your child develop meaningful friendships. Our program will provide your child with a social, emotional, and academic preparation for school and for life. The best time to acquire a second language is before the age of 6. We provide a rich language environment for your child. Your child will be immersed in Mandarin the entire day. Our AMI-certified Montessori teachers model appropriate use of language with precise words and correct grammar. Your child will be exposed to many forms of language (books, stories, poems, songs, rhythm, music…). We’d love to learn more about your child!